Micromax Canvas Juice A77 is latest Canvas device by Micromax till now. It was released just some days ago and is getting too much demand. This is because of it's features and price. You might be thinking why the device is too cheap? Actually, it's using MediaTek MT6572 Chipset which is very cheap and that's why the price is also less. If it had other MT chips like MT6577, MT6589 etc. it would be above 10 thousands. I've explained MediaTek MT6572 pros and cos in this post. 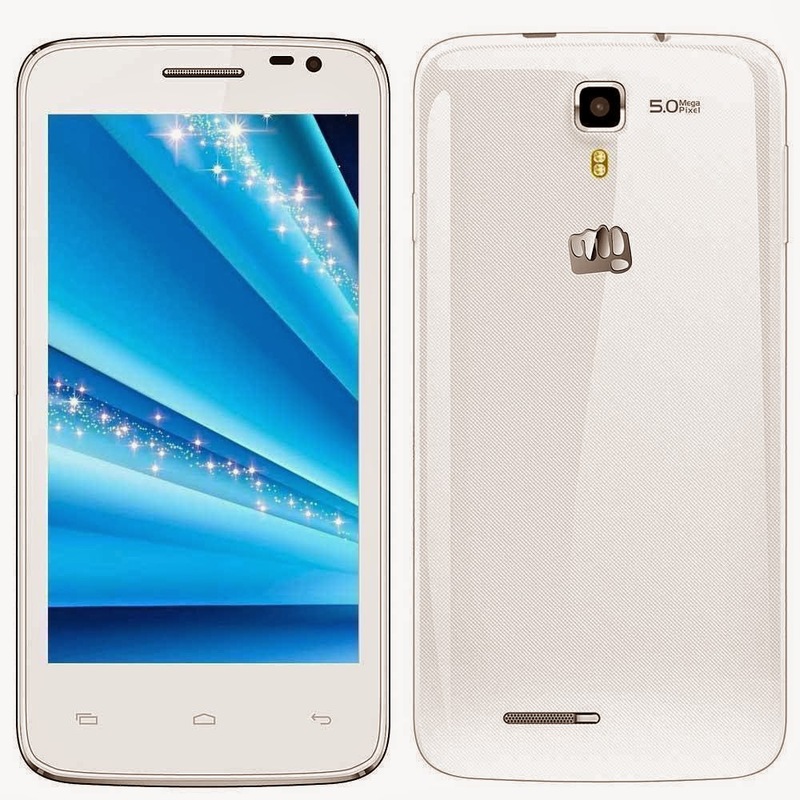 Micromax A77 Juice has a big 5 Inch screen with 854*480 pixels. The device is running on Android 4.2.2 Jelly Bean OS. You get 1 GB RAM in this Cwhich is too much for this type of this device. No, not 1 GHz, not not 1 GHz Dual, no not 1.2 GHz Dual Core! It's running on MediaTek MT6572 1.3 GHz Dual Core processor! Okay let's see the specifications list of Canvas Juice. So, I think the device is good and the buyers are happy. Let's make you more happy with the rooting guide. Unknown Applications installation- Open Settings and go to Security Options. Now mark Unknown Sources. Note: Always use Boromir exploit to root MediaTek MT6572 devices. Framaroot 1.6.x = Boromir. Download the Framaroot application from the computer and move it to your SD Card. Open any file manager [say ES File Manager] and click on Framaroot Application. Click on Install it. Open the application from the drawer of launcher and select Framaroot there. Click on Boromir and tick Super SU. You will see a successful message which will say Success :-) ... Superuser and su binary installed. You have to reboot your device. If you saw this message, then you are rooted successfully. Reboot your device to check if Juice A77 is rooted or not. As, I said, if you saw that message then it means you are rooted but you can double check if you're rooted or not by some applications like Root Checker from Google Play Store. Any problems? Ask me here. I'm here for you. Problems while rooting your Android Device? Join MMX Canvas Juice A77 Development and Gaming group on Facebook to get help from other developers! Click HERE to join it now. can i undo the root? Nothing will happen! means you can give it to the service center. If I will find the stock ROM, I will give it to you. I just bought Canvas Juice a77 and found out that I'm stuck with 2.28GB + 670MB storage for all my apps and games. So was looking to root my device. Please reply and tell the chances of my phone getting bricked if I do this. hi its overwhelmig to know that you have ported a rom at the age of 14 :-) can you try porting a rom for celkon a107+ ?? I rooted my device!!! THANK YOU!!!! When will be CWM Recovery for MMX Canvas Juice A77. You give me the recovery and I will make one for you! depends on uh. Rooting is 10000000000000000000000000000000000000000000000000000000% safe cuz its tried by more than 1k users and no one bricked his/her device. It's on you how uh use it after rooting. But make a Nandroid backup with CWM Recovery (see in this blog, I've posted it) and you can try editing system, data, boot partitions and even if you bricked any of them, you can easily restore it. Hi I brought this device two days ago, it was showing up memory card for sometime now it is not displaying memory card. Did you format your SD Card? Go to Storage in your phone's settings and try formatting it. If it works in your comp, then try backing it up and formatting it in fat32 filesystem. dear sir if i root my phone then will warrnty of the phone finished ? 1. Open SuperSU and got to it's settings menu. 2. Select Full Unroot option, it will be last option, I think. Any supported roms for this model ? Sir can we play GTA San Andreas and such high end games in this Device? How? I saw some video, etc and in it they were playing it. Can you please give me step by step instruction please. Thanks in Advance. Yeah, you can play these games in this mobile phone. 10 days back , i do not even know what is android, and what it does...i never used such phone...but i saw advt in hs18 and ordered juice 77 only than i came to know that memory is very less...so i am googling and found your posts...wow...man! you are amazing..
1. Classes actually means their writing/reading speed. Class 10 memory cards are fastest among it's mates like 4 class, 6 class etc. 2. It is a simple application and chill brother. It won't brick, even if it does I am here to fix it, believe me it's working tutorial about rooting Canvas Juice. 3. :D Thank You, you can unroot it in future. KitKat might be available for it, but sadly, I would say NO. Is it possible to move apps to external sd card after rooting in micromax a77 juice?? Currently no Custom ROM available for Micromax A77 Canvas Juice, but when there will be any, we will try to post it. Use Link2SD Application, it is available for free on Google Play Store..
Arrey, make a EXT4 Partition. Download and install Link2SD Application. Now 'link' any application to your SD Card (EXT4 partition actually) and you have 'more internal memory'.. Thanks a ton mate! I am used to using rooted phones. Got this MMX Juice recently & googled to reach your website. You've made it very easy. God bless you! Just update your blog once you the stock ROM, just in case some newbie bricks his phone! Oh, Great. I am glad that it helped you. Actually thanks to the developer of Framaroot. The stock ROM has been uploaded and is on my blog. You can download stock ROM/firmware for Micromax A77 Canvas Juice from here: http://goo.gl/JRpSAN. I can't buddy, because I don't have it. Rohan i hv followed all steps .still i am unable to apps to sd card in canvas A77. One think more i have seen video on youtube of method to increase storage of phone but i cant still understand that bcz that.s a video nt in written same as ur blog. Ah, it's not possible. Google "How To Use Link2SD". Tell me, is this A77 worth buying?. I want to know that what is rooting of a phone. I have micromax juice. This is Rohan's thread. But in case people want to know how is juice77, if permitted by Rohan, I wish to tell that if your first android phone or even second...go ahead and buy....because of battery, even good display, its fast that is dual core and it never gets heated up....go for class 10 misco sd sandisk....and i am using this phone over a month...its superb. Only problem is rooting...for that Rohan has guided and he was right...never ever has phone briked....or even a layman can do it...but because of technical jargons i was scared and once i attempted to root...well it was fun....so thanks Rohan. So if you want to buy 8k its pukka paisa vasool...its like paying 8k and getting 16k in return. you wont regret it. MM will regret because after rooting (of what i read on after root) one can do what ever one wants with phone...increase speed and delete inbuild stupd apps..that i did so yes go ahead and buy juice...its better than xperia c or grand. my congrats in advance. After rooting I want to add external sd card as a phone storage. 1. Install Root Explorer(make sure you have rooted. after 4th step when I am trying to save file. I am not able to save. just getting message "error occurred when trying to save the file. It will not be save." Can you please guide me how to replace that text or replace file. Thanksx brother!!!! rooted my a77 successfully....succeed after many attempts told on other blogs/sites.....u are awesome bro!! keep it up!! Happy that it helped you :) Keep visiting here..! hey i need a method by which i can get cwm recovery in my mmx canvas juice a77. hi rohan..... hey buddy actually i hv rooted my canvas juice phn n now i wnt to knw how to install such big games like gta3,modern combat2, cod & etc...actually i hd downlded modern combat 2 but whn i launchd it was not working whts the problem pls tell me??? Because it's internal storage is less. You can also for help from my Facebook group: https://www.facebook.com/groups/435583473234058/ Hope it helps! what is custom rom ??? No! It will not work after trying this. Use 91mobiles.com to compare the specifications. does a177 support high end games like nova 3 or modern combat 4? Hmm thanks. Yep, you will root your device for sure. I don't like putting my DP in social networking websites. Just uploaded in Google+. I don't have any DP of mine in Facebook. Rooted my Micromax Canvass A77 successfully. Thx a lot brother. Take care and keep up the good work. hey bro,pls help me i wanted to know what is stock rom??? ?eagerly waiting 4 ur rply...thanxx in advance..!!! Hey bro,could you please tell me how to move apps to sd card.My phone is already rooted..!! When i try to root it shows Half Success!!! Actually, I have installed the Lewa Rom From XDA Developers, But I didn't like it , i restored my cwm backup, i got my stock rom back but the problem was that when i started my phone for 3 seconds it still showed Lewa Logo , so i backed up all my files unswapped my sd card, unrooted it & did a full factory reset to see if it goes but fail now my wifi is also not connecting it gets stuck on getting ip address & I can't even root!!!!!!!! what should i do!!!! PLZ PLZ Help!!!!!!! Your are grate. Thanks for your update.